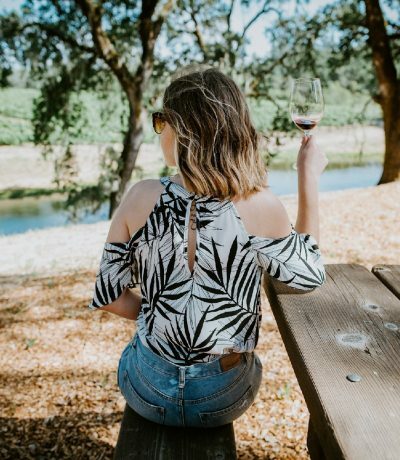 Today’s post is for all my Napa Valley readers and bloggers who have yet to be done with Christmas shopping! 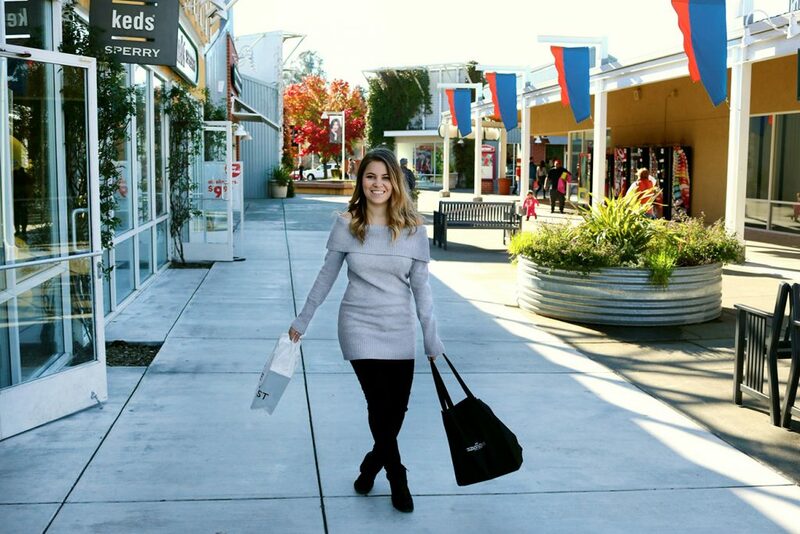 This holiday season, I partnered with Petaluma Village Premium Outlets to bring you some last minute shopping ideas. Hopefully, this post will serve you as a gift guide, if you’re still trying to figure out what to get your friends and family! 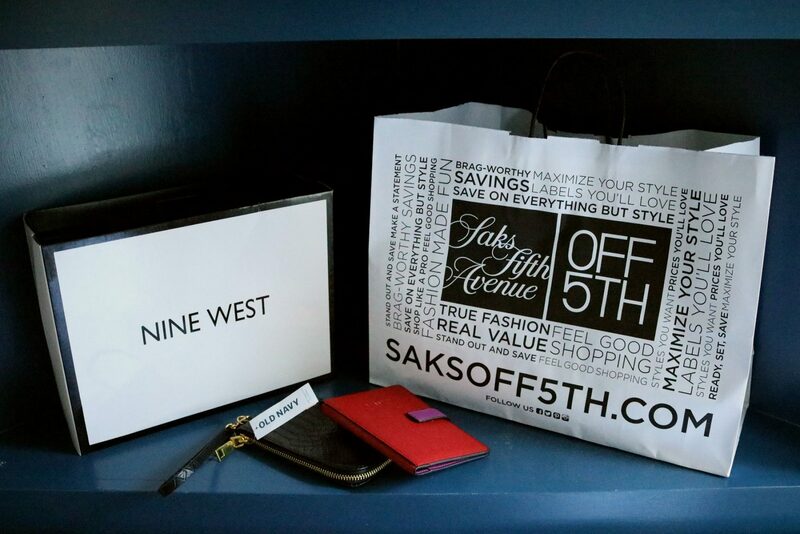 I did most of my shopping at Nine West, Old Navy and Saks Off 5th. See what I got below! I was so stoked to stop by Nine West and see their collections! I was particularly looking for a bold shoe that will be perfect for holiday parties and NYE, and I sure found some fabulous options! This sparkling shoe was a great find and oh so flattering for just $20. However, I decided to go home with those gorgeous oxblood velvet heels that I know will serve me for year to come! Seriousy, how beautiful are those? And just $40, guys! Isn’t that a great last minute holiday shopping steal?! I was particularly excited about doing my last minute holiday shopping at the Saks Off 5th Avenue. It was my first time ever and boy, did they have some great deals! Think of any designer and it’s highly likely you’ll find it there. I don’t get to shop a lot for designer pieces at affordable price point, so this was a nice change! The coat on the left was Badgley Mischka and only $140! I ended up buying a dress, a fun turtleneck with cold shoulders (pictured in the photo, stay tuned to see how I style it) and a gorgeous wallet for a passport AND your boarding passes (just $25 and what a great, useful gift idea for all your travel buddies or yourself). American Eagle was having 50% off selected items and those two dresses were just $25 each! 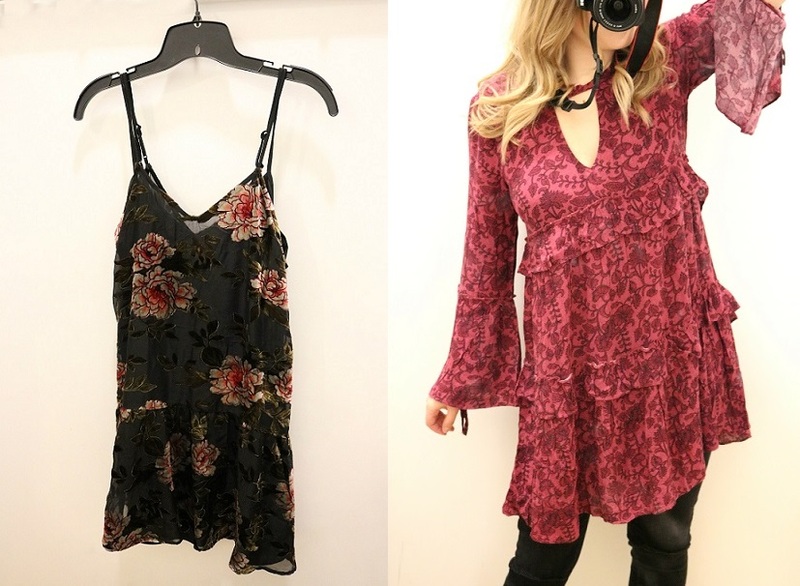 Velvet details, lace, bell sleeves, choker detail and ruffles, do I need to say more?! 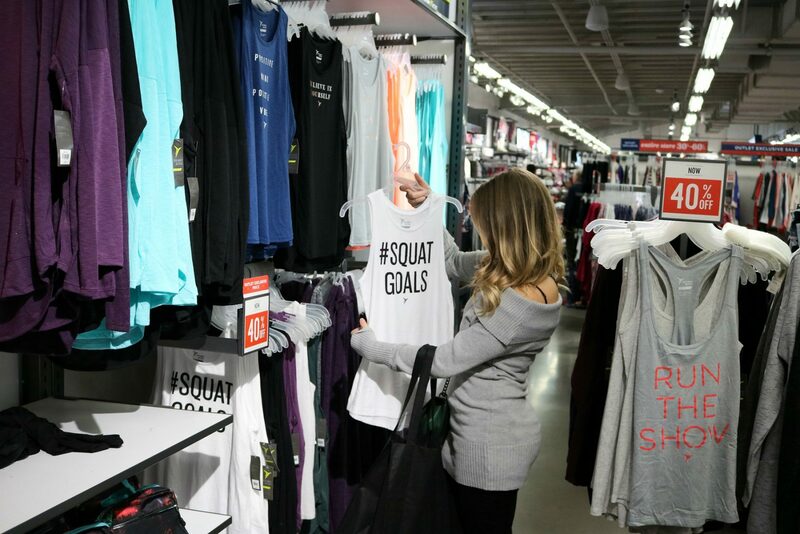 Old Navy also stepped up his game in the workout gear department lately. They have lots of great graphic tank tops and legging options to keep you motivated during your exercise regime! I don’t know about you, but when I go out, I love having with me as little as possible. 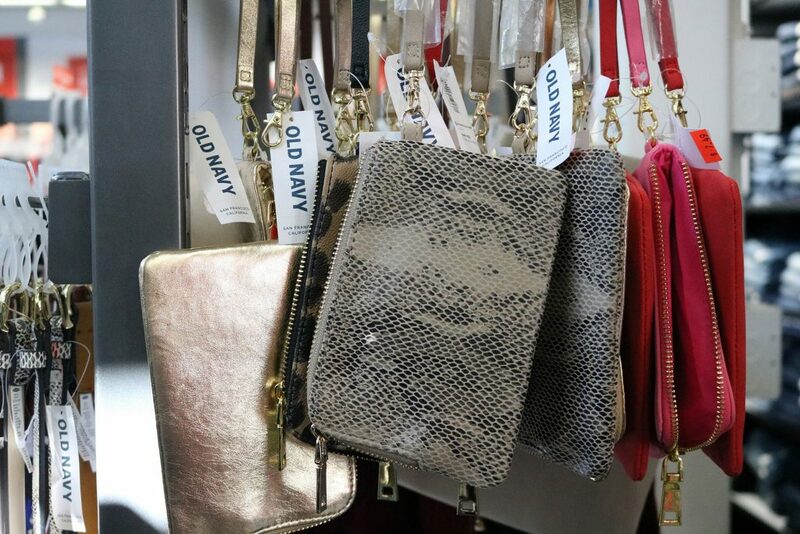 I usually just bring a small wristlet, so I don’t have to carry around a bag, especially on the dance floor! These Old Navy wristlets were just $6 and I loved every single one of them! Of course I ended up getting a black one because I know it will go with everything. However, each one of these patterns and colors is a perfect option for you, whether you want to make a statement or not! You can fit your phone in it (not sure about the newest, biggest iPhone 7 though, I still have the 5s!) keys, cards and money. Perfect stocking stuffer if you ask me! Petaluma Village Premium Outlets is currently opened longer hours, so you can do all your last minute holiday shopping just in time before Christmas! Thank you Petaluma Village Premium Outlets for sponsoring this post! This kind of shopping time are so much fun! Hope you enjoyed! Looks like a great place to shop with so many fun stores. Wow!! Amazing stuff! 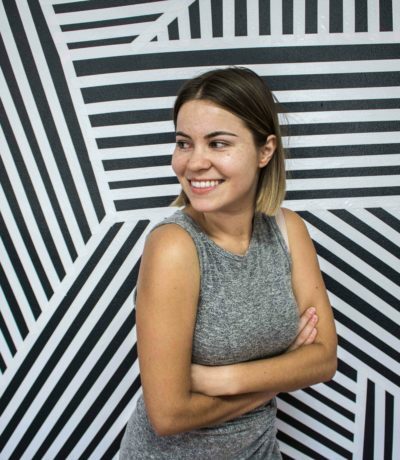 loved this blogpost. What a nice post, adore it! Looks like your shopping trip was a sucesss babe! I still need to go back to the mall this week for some last minute gift ideas! Gotta love shopping at the outlets! I absolutely adore the oxblood velvet Nine West heels – how gorgeous are they, and perfect for the festive season?! I agree! When I saw them, I simply couldn’t resist! I agree! Never to tired to shop, haha! Dzieki! Nadal nie moge sie nimi nacieszyc!